E. Brady Robinson is a photographer based in NYC and Baltimore, MD. She divides her time between personal art projects and commissioned work. She is the owner and founder of BMORECULINARY. Her photographs have been featured in The Washington Post, Channel One Russia TV, The Bund Shanghai, AirTran GO Magazine, PDN Photo of the Day, Featureshoot, Slate.com among others. Commercial Clients Include: Under Armour, Barneys New York, VICE Columbia, Domino Magazine, Google, Aspen Magazine, Washingtonian, Congressman Xavier Becerra, McCormick Co., Quin Evans Architects, City Paper Baltimore and COMPASS DC. Her documentary Art Desks was published by Daylight Books with essay by Andy Grundberg and distributed by ARTBOOK D.A.P. She is represented by Addison Ripley Fine Art and Amstel Gallery. Robinson is former Associate Professor, University of Central Florida School of Visual Arts and Design and former faculty at The Corcoran College of Art + Design, Georgetown University and UGA Cortona, Italy. She leads photography workshops throughout the United States and gives seminars on publishing photo books, fundraising for art projects and branding/social media strategies for artists. Robinson has lectured at FotoWeekDC, SNAP! Orlando, Ringling College of Art and International Center for Photography School in NYC among others. 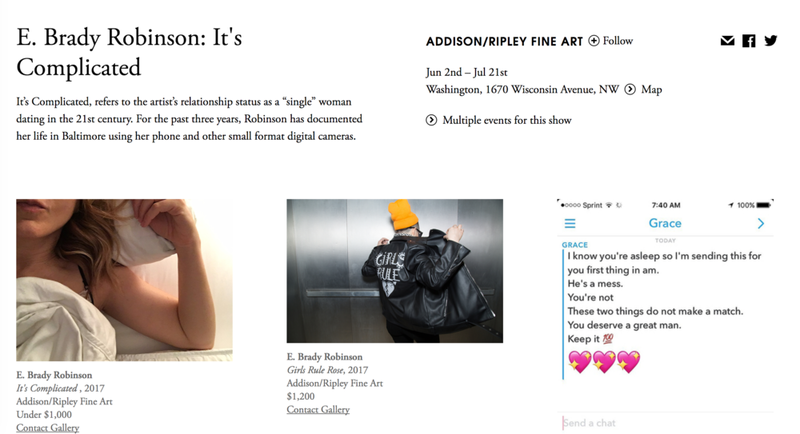 — Robinson's fine art photography is represented by Addison Ripley Fine Art in Washington, DC and Amstel Gallery in the Netherlands. — I’d love to hear from you. Contact me for rates and availability.